SYNOPSIS: This is a tale of Hell. The many souls of the dead make their way to the underworld and face the judgement of King Enma. 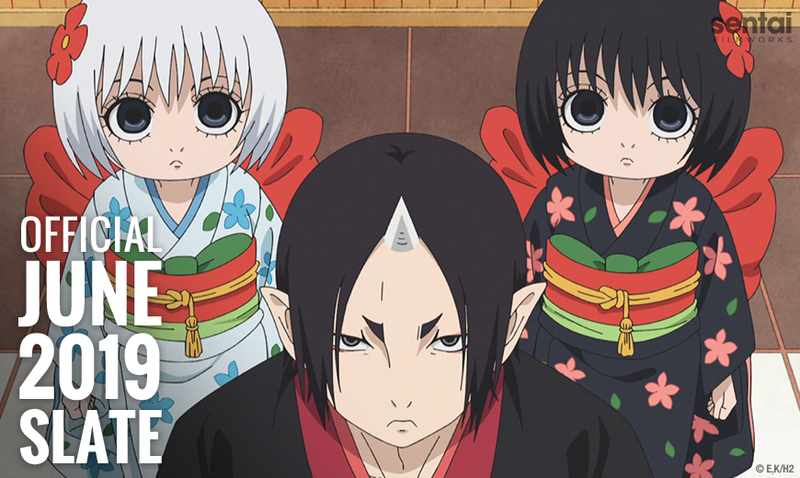 As Enma's foremost aide, Hozuki is as busy as ever keeping things running. He oversees the punishments of the dead and instructs their tormentors, along with making an occasional inspection of the Mundane World. Together with his usual cohorts, Hozuki will encounter familiar faces from European Hell, a feisty princess, a crane, and other famous Yokai of legend. The exciting and rambunctious days in the underworld continue on! SYNOPSIS: Yoshitaka Nakabayashi may be young, rich and not unattractive, but as runaway sisters Izumi and Mitsuki Sawatari quickly discover upon becoming Yoshitaka's new maids, he has some SERIOUS issues. Like his insistence on being called "Master", and dressing the girls in costumes he creates himself. Unfortunately, Izumi's personal net worth is in the negative digits, and with Mitsuki and her pet alligator to support, she'll just have to grin and bear whatever comes out of Yoshitaka's twisted closet! But the costumes are only the beginning, and when Anna, a third au pair with obsessive issues of her own, joins the party the situation will go from bad to perverse. The rules of dealing with domestic help have never been so completely abused as when the madmen at Gainax (Evangelion, FLCL) unleash their most demented series ever: HE IS MY MASTER!